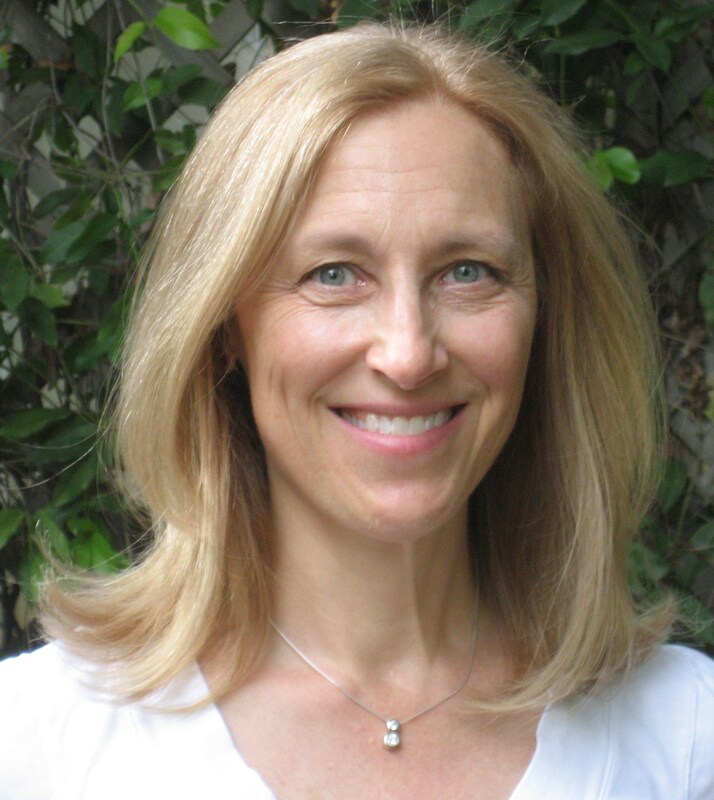 JULIE MULHERN: Diverse, Dedicated and a lot of Dead Bodies. Rarely have I read an author who writes in two completely different voices. 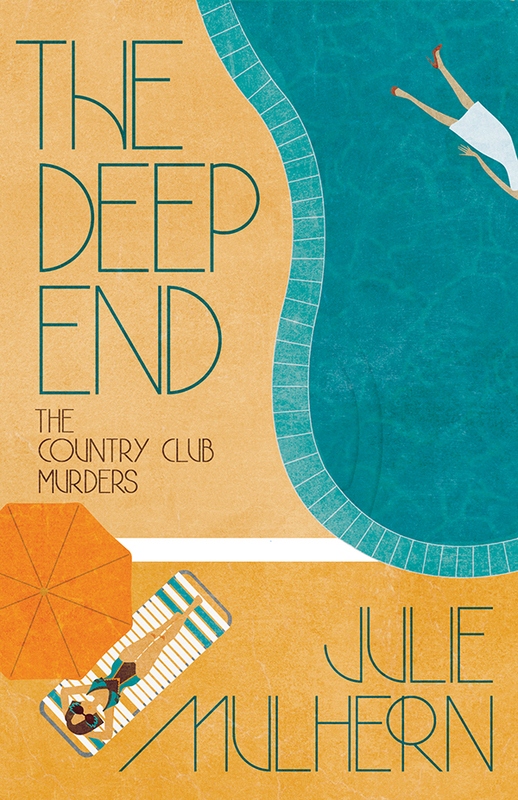 Julie Mulhern’s series: The Country Club Murders is a cozy mystery set in the 70’s, and filled with laugh-out-loud snark. Naturally when I picked up the first book in her new Haunting series, A HAUNTING DESIRE, even though I knew it was historical with a touch of paranormal, I still expected similarities in writing style. Nope. You’d never know the same writer wrote this solemn, eerie, twisted suspense involving Voo Doo and some grisly, dark New Orleans scenes that have you biting your nails like a teen. The two series are SO far apart in voice, style and spectrum on the mystery genre that I’m left thinking Julie Mulhern is either exceptionally talented or has a split personality. As a dedicated KaT reader, I’m sure you recall reading about Julie after her debut last February when we featured her novel THE DEEP END. 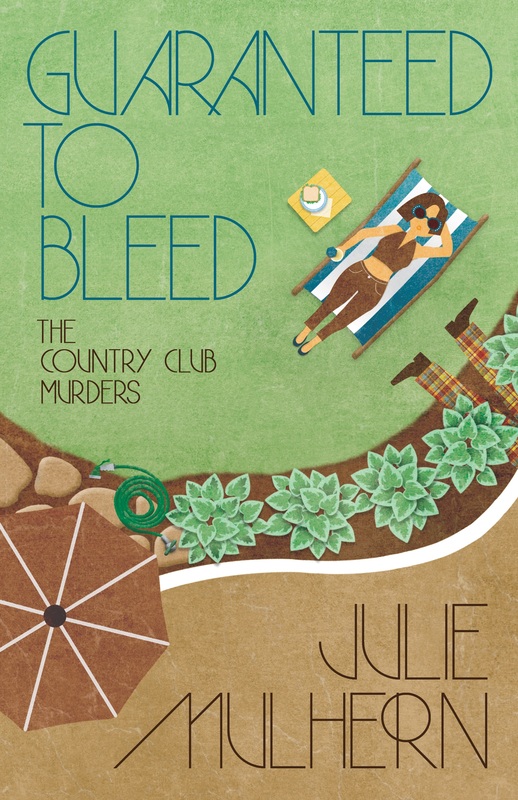 Next week the second book in The Country Club Murders comes out: GUARANTEED TO BLEED. You write a series that’s a hilarious snarky cozy and another series that’s historical, paranormal suspense. How hard is it to switch hats? Actually, switching between two different genres is good for me. When I’m writing the mysteries, I get a break from turn of the century New Orleans and vice versa. That doesn’t mean I’m not constantly having ideas for the wrong book. I am. I’ve started files. Which series is YOUR fav? What a question! A bit like asking a mother which child is her favorite. Right now I am editing A Haunting Need (book two in the Haunting series) and writing Clouds in my Coffee (book three in the Country Club Murders). I love them both. That said, it’s easier for me to write mysteries. We interviewed you in February for your debut release. Tell us how well The Deep End has been doing. Mystery readers who don’t want gore seem to respond to it. I write to plot points. In an 80,000 word novel that means INTERESTING things better be happening at the 8,000, 20,000, 40,000, 60,000 and 72,000 words marks. Ish. I generally begin knowing my plot points but have no earthly idea how I’m going to fill in between them. Those misty spaces are where the magic happens. As for research, I believe you mean RABBIT HOLE. I love it. Recently I needed to know how much it cost to rent a condo for a week in Vail in 1974 and found myself flipping through the virtual pages of a decades old ski magazine ($400 if you’re wondering). I’ve discovered Thea Porter caftans, renewed my fondness for Tab, and listened—willingly (once)—to “Seasons in the Sun.” I’ve also watched every movie Steve McQueen made in the 70s—that was no hardship. Sometimes the research finds me. A New York Times article led me to this website – http://www.queermusicheritage.com/fem-jbl.html. I fell in love with The Jewel Box and knew I had to place a scene there. What are future release dates and titles? Book two of The Country Club Murders, GUARANTEED TO BLEED, releases next week on October 13th. This is the book that features a scene at The Jewel Box. It also sees the return of Ellison, Grace, Mother, Aggie, Anarchy, and Hunter. I adore this mystery and am thrilled to see it venture out into the world. Book three, CLOUDS IN MY COFFEE is slated for early May, 2016. I’d best get writing! A HAUNTING NEED will release in April, 2016 (if I ever get these edits done). QUESTION OF THE DAY FROM JULIE: As I mentioned, I’ve been watching loads of Steve McQueen movies and my favorite from the 1970s is Papillon. That said, my favorite movies from the 70s are The Sting, Blazing Saddles (after twenty years of marriage, my husband made a Mel Brooks fan of me) and Star Wars. What are your favorite 70s movies? FIVE COMMENTERS WILL WIN A DIGITAL COPY OF THE DEEP END! The scent of Aramis overwhelmed the aroma of my coffee. I looked up. “How are the two prettiest ladies in town?” A man wearing the ugliest plaid sports coat I’ve ever seen—burnt sienna, burnt umber, cadmium deep yellow—stood in front of us. Mother smiled. Daddy stood and thrust out his hand. Quin Marstin shook it. I looked from Mother to Quin to the empty seat at the table. Oh dear Lord. 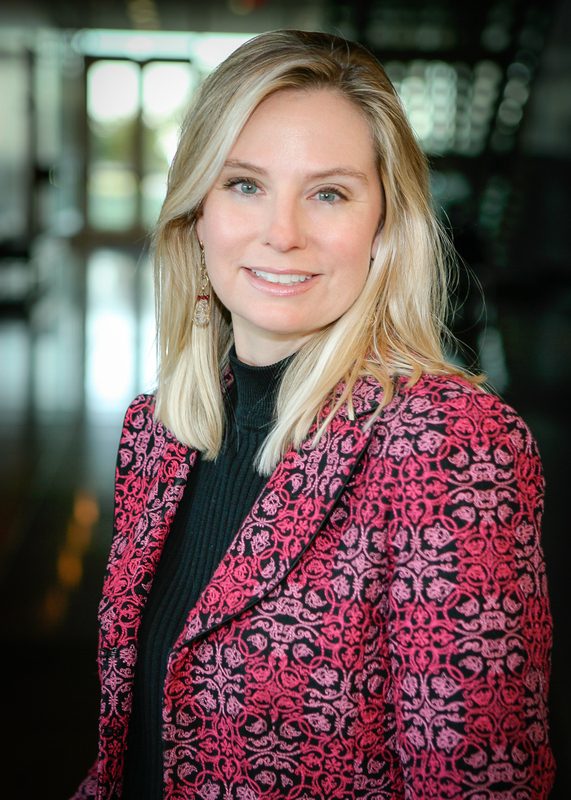 When we were in high school, Garret Hargrove Marstin V, more commonly known as Quin, was the class president, the starting quarterback for a football team that won the state championship and the boy named most likely to succeed. As far as I knew, our senior year was the apex of his life. He’d been young, popular and almost every girl at school had wanted to date him. The world had changed. Quin hadn’t noticed. Next to me, Daddy tensed. Across from me, Mother washed away a sour-pickle expression with a deep sip of Bloody Mary. I shifted in my chair, inching as far as possible from Mother’s idea of a set up. Had she lost her mind? “Thank you,” I murmured. The man positively reeked of cologne. What’s more, I’d bet, hidden beneath his white shirt, boring tie and that appalling blazer, there was a gold chain with a medallion nestled among his chest hairs. Bleh. Across the table, Mother choked on her drink. 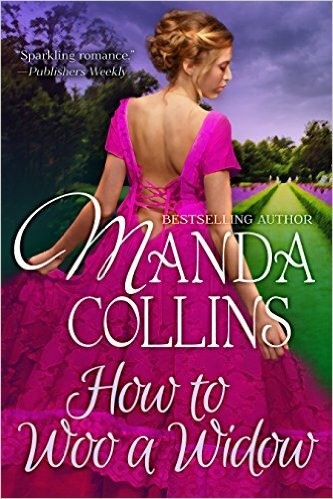 Quin leaned toward me and his Aramis assaulted my nose again. Maybe his sense of smell was gone. Maybe when he looked in the mirror, he didn’t see the thinning hair. Then again, how could he, hidden beneath a toupee the way it was? Maybe he didn’t notice the thickening waist that threatened to become a paunch. The man remained a legend in his own mind. I inched farther. So far, I risked falling off my chair. Maybe Daddy would catch me. Although…he looked frozen in horror. No help there. “What are you doing now, Quin? For a living, I mean.” I asked. Clipping coupons off the bonds his grandfather and father had amassed. We all knew it. Then again, cutting along a straight, dotted line is something of a skill. This time Daddy choked on his drink. I patted his back and looked for a waiter. With everyone choking, we were going to need more ice water. “There’s not enough water to make tea and read the leaves. It’ll be the cards.” With a rustle of her patched skirt, Granny led Trula into the cabin and settled into her seat at a table scarred by hot pans, dripping glasses of rum, and time. Trula sat across from her in an uncomfortable straight-backed chair. Behind Granny, a narrow plank painted a vibrant shade of blue groaned beneath the weight of a large crucifix, the curve of a snake’s skeleton, a small painting of the Virgin, tightly wrapped gris-gris, a cascade of crimson lace, brightly colored beads, painted stones, and a bottle of rum. Several candles burned and flower petals floated in a glass bowl filled with water. Next to the altar’s dense opulence, the rest of the simple cabin appeared drab. “Are the wards holdin’?” Granny asked. The wards didn’t work against all ghosts? Until Zeke Barnes beat Carter Wayne, she’d never seen a single one in her home—it was a phantom-free haven. The wards made living in a city beset by ghosts bearable. “You didn’t ride clear out here in the middle of the night because of the wards.” Granny’s head was wrapped in a bright tignon, a red shawl draped over her narrow shoulders. Her hands, roped with age and bent like claws, caressed a tarot deck. “I’m worried about Cora James.” Trula bit her lip. It wasn’t exactly a lie. Trula closed her eyes and breathed through gritted teeth. If she wanted information from Granny, she’d catch more flies with honey than vinegar. “If you speak to her, would you please tell her the police are all over the district looking for Belmain’s murderer? Trula shuddered. Eulie Echo had warned her about Baron Samedi, now Granny had as good as confirmed her suspicion that a spirit committed the murders. “Cora’s not the only reason you rode clear out here in the middle of the night.” Granny’s faded eyes glittered in the dim light. “I’m worried about my own girls as well.” That wasn’t a lie, either. She did worry about the girls. The man who’d invaded her thoughts wasn’t worth mentioning. Trula scrubbed at her tired eyes. Had he followed her?